Whip up eggs and sugar with mixer until the foam. 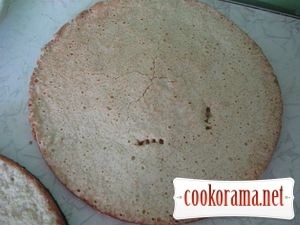 Add flour little by little, always stirring with spoon. 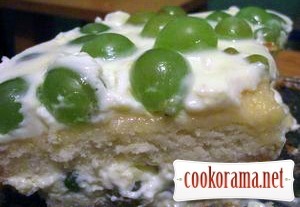 Spread baking dish with margarine and pour in the dough. Whip up sour cream with sugar and vanilla sugar in mixer. Dissolve quick-dissolving gelatine in 200gr hot water, heat up a little and pour in sour cream, always stirring. 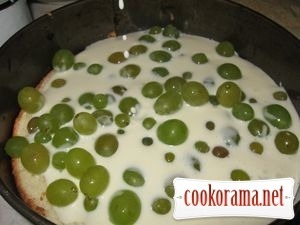 Cooled cake cut into a half and spread with cream, adding grapes. Put cake in a fridge for 12 hours. 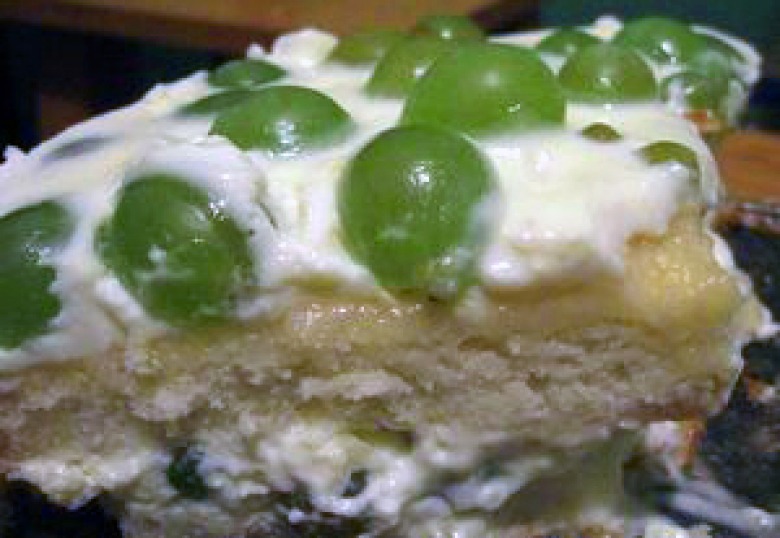 Top of recipe "Cake "Grape""
о!!! мені якраз винограду завезли! Ну як, виходить ? А ще замість винограду можна полуницю або різнокольорове желе. Смачно без сумніву, люблю таку смакоту.